Now that’s service! Less than six hours after I made the last post with the Dear Little Katy strip missing a panel, our friend Thrillmer! 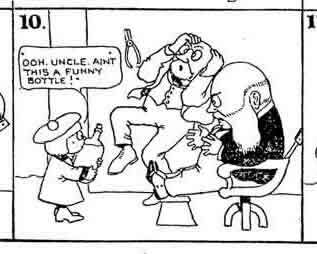 from Barnacle Press has provided a scan of the missing panel from the strip! Thanks, Thrillmer! Note that if you haven’t checked out the Barnacle Press site yet, you should do yourself a favor and get over there. 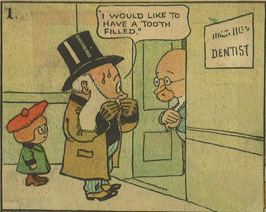 It is easily the biggest repository of comics from the early history of comics on the web… I link to them almost daily. I hope this quick response means Barnacle Press will be posting more examples of Dear Little Katy! 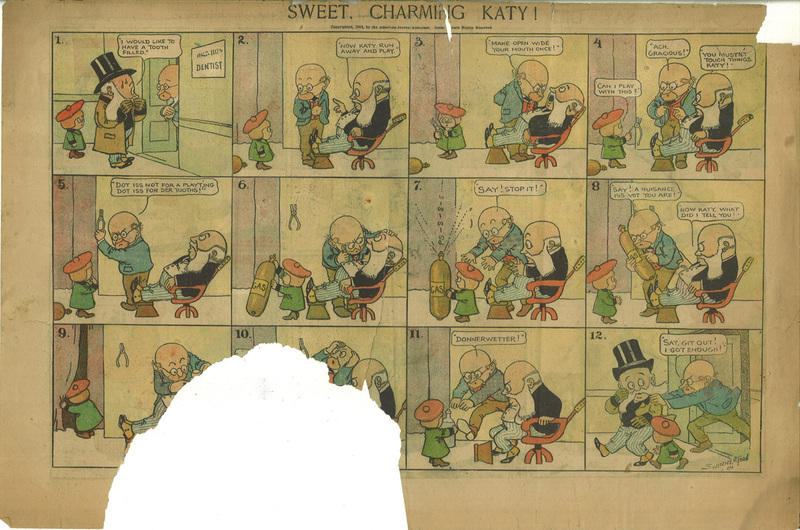 Here’s an example I scanned of Dear Little Katy from 1904 by Jimmy Swinnerton. Dear Little Katy would seem to be Little Jimmy in drag. The penultimate panel 10 has crumbled to dust somewhere… if anyone wants to draw a version of the missing panel I’ll post it here. UPDATE: The missing panel has been found, thanks to Thrillmer! from Barnacle Press. You can see it here.